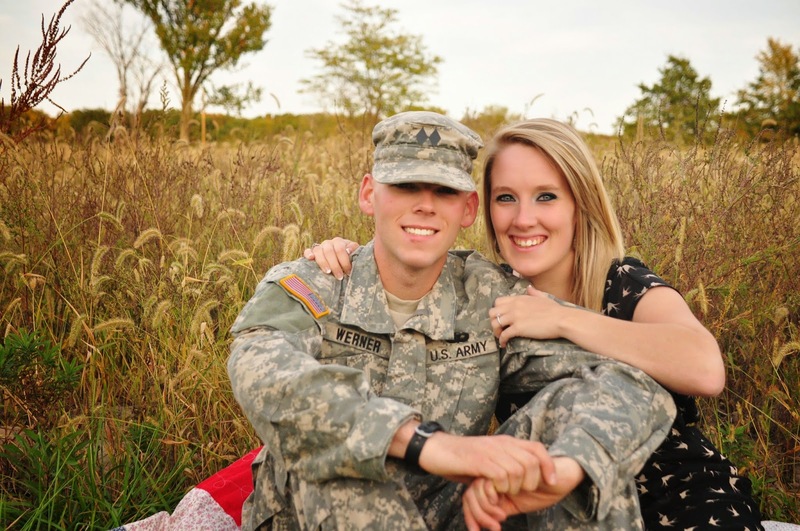 This guest post is written by Emily, an Army wife who is also a friend of mine. I never thought I would become a military wife. 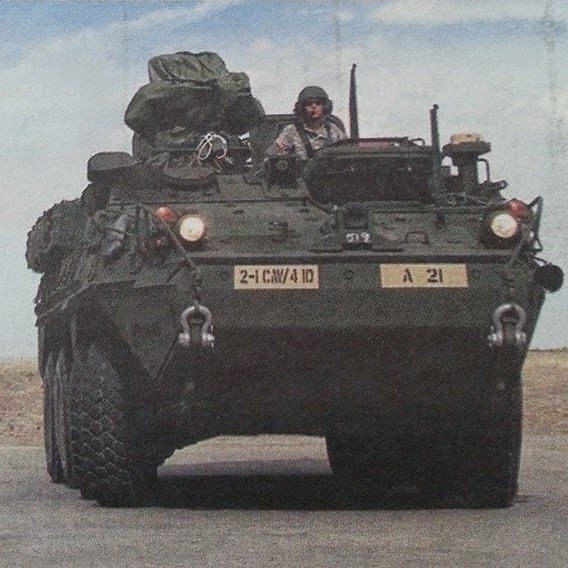 In fact, at some point years before meeting my husband, I remember swearing off falling for any man in uniform if it meant leaving my beloved Illinois cornfields behind. Ah, how the Lord laughs at our plans. I met my husband Luke when we were both students at Western Illinois University and involved in our campus Newman Center. In my very first memory of him, before I even knew his name, I remember thinking how stark the contrast was between his altar server albs and the combat boots sticking out beneath them. Little did I know, it would be those two things that would eventually draw me to him – his faith and his heart for service. Three states, two cross-country moves, and nearly a year of marriage later, the lifestyle that I swore off is now the one that I find myself totally immersed in. Knowing and loving Luke has completely changed my perspective on military life. Although I have altered many misconceptions, the one I am glad to share with you on this Memorial Day is this – renewed understanding and appreciation. Instead of enjoying the day off of work and the family barbeque, we need to renew our appreciation for the reason behind it. 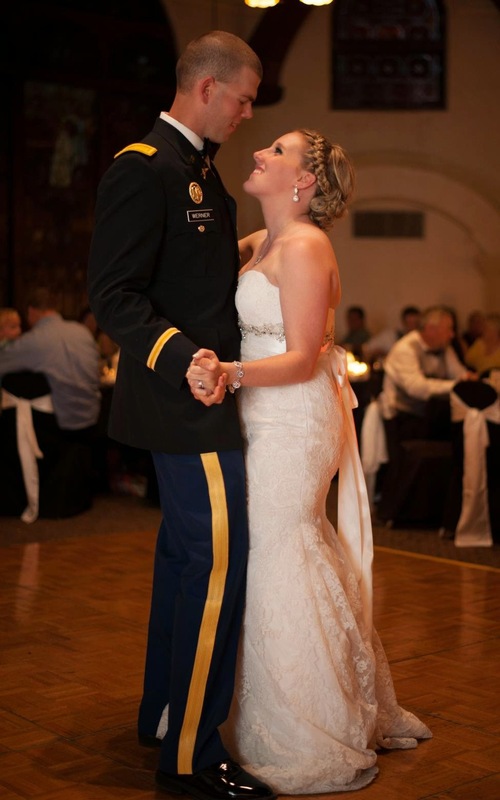 As a military wife, one thing never fails – I always cry when I watch soldier homecoming videos. Luke laughs at me, but I tell him he can’t fully understand that feeling of relief every single time I see a soldier run back into their family’s arms. Luke makes many sacrifices for our family and will continue to do so throughout his career. He and others like him will put their lives on the line to ensure that you and I have a safe place to raise our kids, go to church, and watch our Netflix marathons in peace. He does what he does because he believes in it. I do what I do because I believe in him. I hope and I pray for homecoming moments of our own. I also watch those homecoming videos to remind myself to be thankful every time my soldier walks back through my door at night, safe and sound, when others are not so lucky. 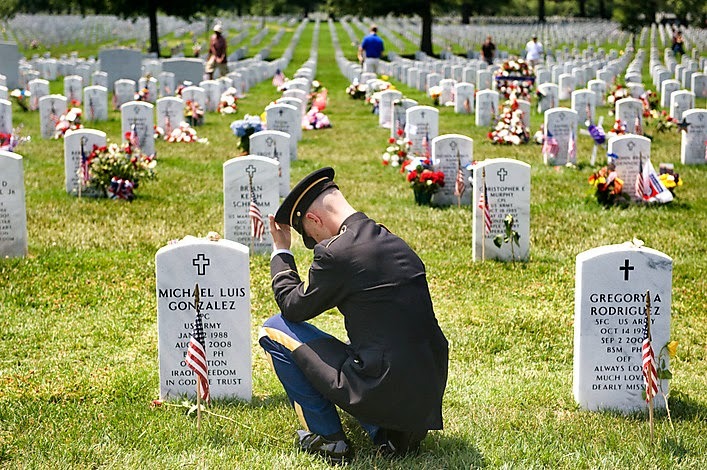 Memorial Day is a weekend to remember our fallen military service members. We call to mind their service and commitment to protecting the freedoms that we so often take for granted – a service that would eventually require the ultimate sacrifice. It is about the men and women who died in the line of duty and those they loved who were left behind. But most important, I believe that today is a day to remember the full life of the person who wore the uniform, not just the end of it. Just as any soldier is not defined by the rank they wear, a fallen soldier’s life is not defined by their death. In his very short time as a platoon leader, Luke has already attended a military memorial service for a fallen soldier, one of his peers. His reflection on one of the hardest moments of his career was this – you don’t necessarily cry or mourn because you lose a good marksman, a good mission planner, or a good athlete. You cry because you lost a mentor’s listening ear, the comedian of your unit, a selfless leader, a passionate helper, a brother, a sister, a husband, or a friend. You mourn the person inside of the uniform, not a faceless warrior in a sea of camouflage. On many Army posts there are cemeteries for fallen soldiers. They look similar to what you see in Arlington National Cemetery. If you aren’t familiar with the sight, at any point you can look out and see white stones stretching as far as the eye can see, each marking the life and death of a service member. Not all died in combat, but many did. When I was in eighth grade and saw Arlington for the first time, I thought how sad it was that any one grave could easily be forgotten among so many. In a society that is clouded by political viewpoints, it is easy to not wholly appreciate our military members. We see a cluster of uniforms and not their faces. We hear snippets of news stories in far-off lands and then move on with the rest of our day. We make generalizations or feed into stereotypes about the person who wears dog tags and carries a gun at work. Some people think she’s the high school drop out with no other options. Some think he is the warrior with unattainable heroic virtue and supernatural strength. 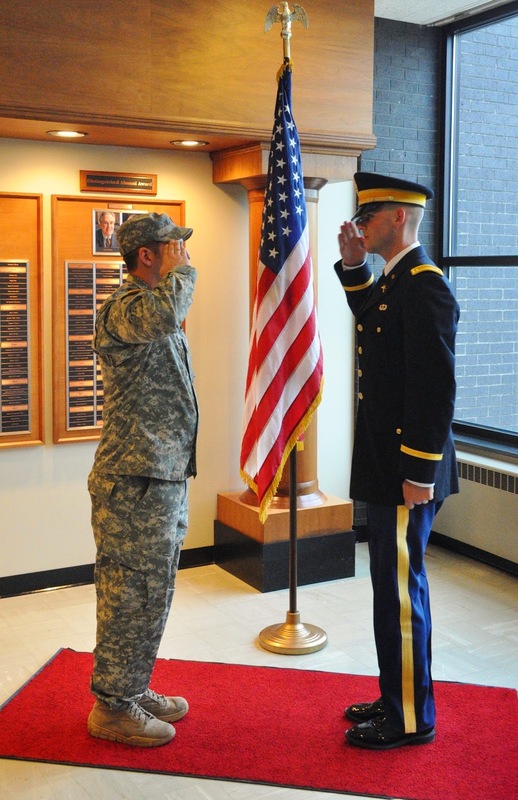 In reality it is this – they are the men and women who feel called to serve a higher purpose than themselves. Average people who work sunup to sundown and still have to go home and cook dinner, do laundry, tuck their kids into bed, and get up before dawn to do it all again. Those who believe in continuing to hear the bells of freedom ringing in their ears as they march off to war without knowing if they’ll come home and live it for themselves. So, during this holiday weekend, take a moment to remember them. Remember the faces of the fallen and speak their names. Remember their quirks, their hobbies, and the reasons they believed in something enough to die for it. Remember all of our service members – past and present - their children, and their families. They are my neighbors and my friends. And I am proud to live among them. Emily wanted to be sure you all knew about a way to give back to families who have lost a loved one in the line of duty. If you'd like to learn more about Gold Star Families who have lost a service member, or to provide support, please visit the Gold Star Family Resource Center. Emily is a Catholic, 20-something, newlywed Army wife to Luke - officer, gentleman, and pancake-maker extraordinaire. She enjoys reading and writing, but definitely not arithmetic. Emily tries and sometimes fails to remember to blog their adventures of military life at The Only True Adventure. Also, just so you can understand that awesome runs in her family, her sister Stephanie is the one who did the photography session give-away, her sister Katie is my good friend and fellow Sheen lover, and her mom made my wedding cake because the bakers I met with were rude. Thank you, Emily, for sharing your thoughts here! God bless all our military and families. May eternal rest be given those who died protecting us. And may our country renew its gratitude for that freedom they bought. Thank you Bonnie, for this......God bless all our veterans. My Dad was a WWII veteran and I so know growing up in a staunchly patriotic, militant, but loving family..As the daughter of a military man, I can begin to see Emily's point, though from a different perspective. We ARE a society clouded by political viewpoints and many DO simply "see" the military as jumbled uniforms.....not individuals with lives, stories, families....really great thought...wow..... Excellent post. Thank you, friend. Oh my goodness! What a beautiful post! Thanks Bonnie and Emily! This is lovely. I'm a Navy brat and a Marine Corps bride and we spent the morning at the LA National Cemetery because we want our kids to know what today means. This meant a lot to me, Emily. My dad was killed on active duty in the USAF when I was five. They were just flying touch and go's. It wasn't supposed to be a dangerous day, but it ended in the death of everyone on board the plane. He was supposed to be home for dinner, and then he just wasn't home any more. Thanks for sharing your story here and for remembering those who have given their lives for freedom. Thank you Emily for sharing! I was a Navy brat my entire childhood, coming from a family that served over 175 years of total Naval service amongst my grandfather, aunts, and uncles. Thank you for such a beautiful reminder of what today means! This is a wonderful post. I always appreciate things on this day that stress why we celebrate and remember, and this is among the best I have read. Thank you! 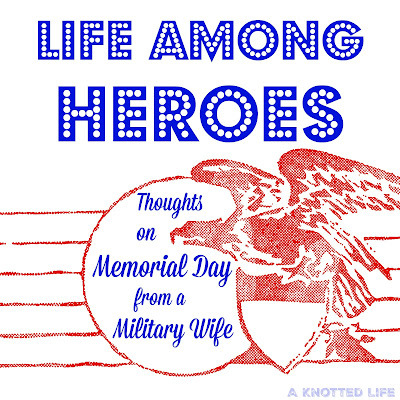 What a beautiful post for Memorial Day! Thank you Emily! And to your husband and all those who serve our country! What an amazing testament to sacrifice. Thank you for your service too Emily, serving someone who serves his country is a beautiful act!